Joyfully Becca: we got baby chicks! Well, we have some introductions to make. These sweet chicks have joined our family and we love them to pieces and one day, we may eat them in pieces. 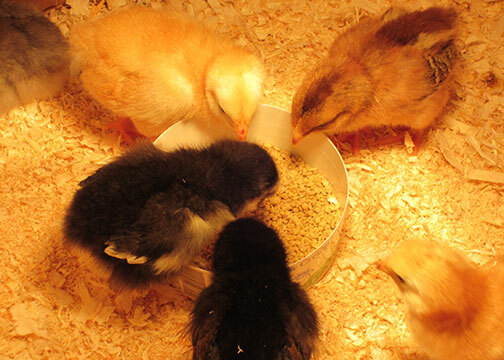 But until then, I'd like to introduce you to six chicks. We love Legos. I know you're not supposed to have favorites, but we sort of do. On Saturday, just before we left to pick these birds up we asked Ivar for another name. He was playing with his duplos at the time. 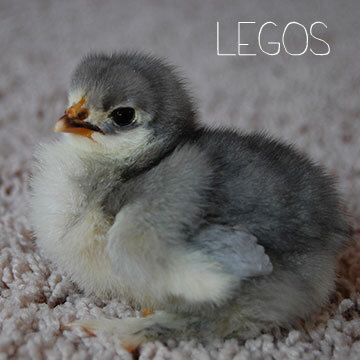 The awesome part about Legos is that she is one of those chickens with the feathery/furry legs! She is a Cochin Chicken, and super sweet to hold. Ivar loves for me to retell him stories from our day. This is a huge part of our bedtime routine. So when I tell the story of our chickens I tell him, "...And then the four of us drove to Zumbrota and got our chicks from Theri." 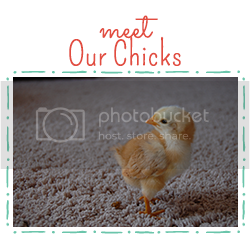 We found Theri through Craigslist after realizing many places have a minimum order or 25 chicks. She is wonderful and had such an amazing variety. I would have never imagined we could have such unique birds. 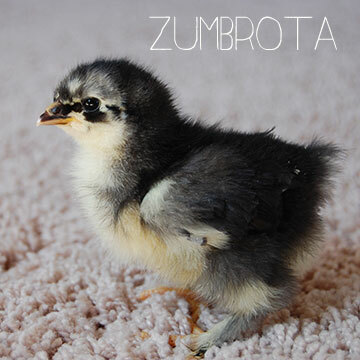 Zumbrota is also a feathered foot Cochin. Ivar named this one too. It was a random name choice, but actually fitting in a way since on the way home, with chicks peeping on my lap, we stopped at McDonalds drive through. We told Ivar that out of respect, we wouldn't order chicken nuggets. The girl at the window asked how our day was going and we told her awesome...we got baby chicks. She was super excited and asked to see them, so Rory held the box tipped through the window so she could see. Hamburger is a New Hampshire Red and after the photo shoot today Ivar has lengthened Hamburger's name to Hamburgerpoopedonthecarpet. That bird will never live this one down. Our very favorite line from the Little House books is in Farmer Boy. Almonzo is six and oversleeps one bitter winter morning when he is supposed to be doing his chores in the barn. His mother yells up the stairs, "Monzo! You be sick? It's 5:30!" Rory and I wake each other up with this line quite often. At like 8:15. 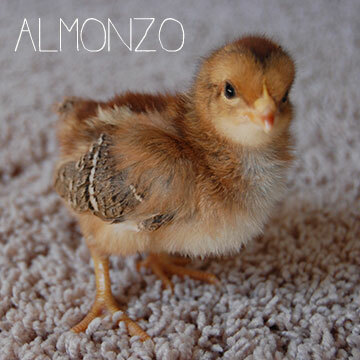 Almonzo is a Welsummer and will lay dark brown eggs. 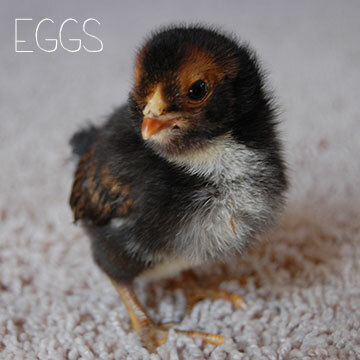 I got so excited to name our chicks after I read a friend's blog post about her chickens. Her kids named the birds, and one of her boys named his Chocolate Chip Cookies. I laughed out loud. What a great name. This was our last bird to name and with such lovely butterscotch coloring, I thought this bird might be excited to know it has a buddy in another state. 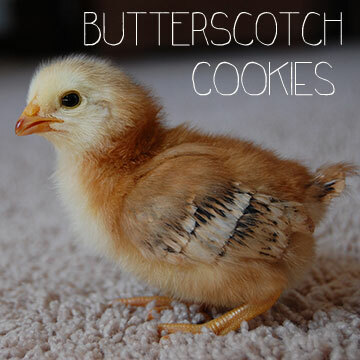 Butterscotch Cookies is a Buckeye. We are in love with these birds. It's hard not to get attached. They currently live in the downstairs bathroom in a cardboard box with a heat lamp. I spend a lot of time holding them. Rory is drawing up plans for the chicken coop. And Ivar keeps asking for a butterscotch cookie. So FUN! 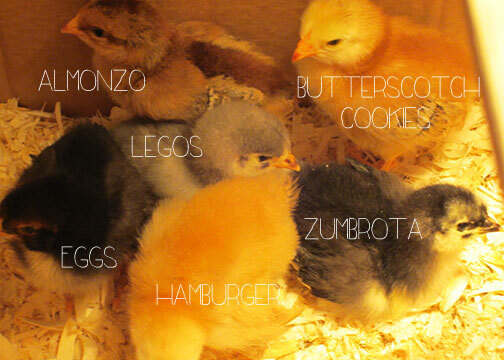 What adorable chicks with such lovely names! xo The girls will go nuts when I show them pics. Yessss. As soon as you said you added to the family, I knew there would be a chick named Eggs. 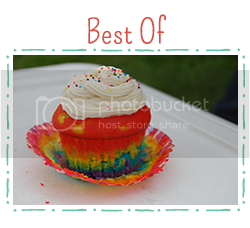 :) Enjoy these babies with your babies! Hamburgerpoopedonthecarpet might be my favorite name. Ever. I think for our chicken coop, Jeremiah looked at several plans online to come up with what would work for us. Sonna says ,when can I see your chicks ." 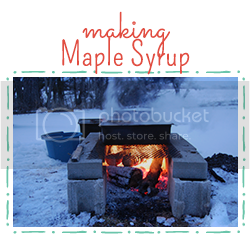 Aunt Becca I like butterscotch cookies Svea misses Ivar ,"
Becca- That is so fun to have 6 new little additions to your family. I hope that you get lots of eggs. My brother and sister-in-law have egg laying chickens and the eggs are the best! Can't wait to see the coop that Rory comes up with. I am sure it will be amazing. Becca- That is so exciting to have 6 new little additions to your family. I hope that you get a lot of eggs from them. My brother and sister-in-law have egg laying hens and the eggs are the best! Becca- You are hilarious. I love this post. I love that you have chickens, and I love your family. When can we connect again? Becca- You are hilarious. I love this post, I love that you have chickens, and I love your family. When can we connect again? So great! My sister and her family raise chickens (in central Illinois) and often have as many as 35 of them running around at a time. They love the eggs, and give them to friends and family. Her little boy loves to help out with the chicken chores too. 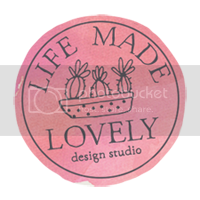 I know you will all have such fun with them! (It's also very wise of you to just start with a few!) 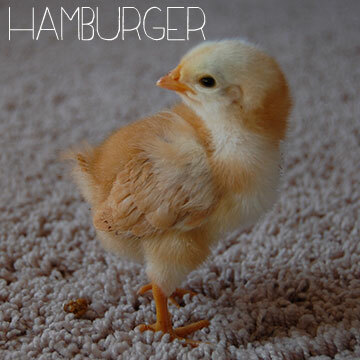 I can't wait until I can have chickens someday too!